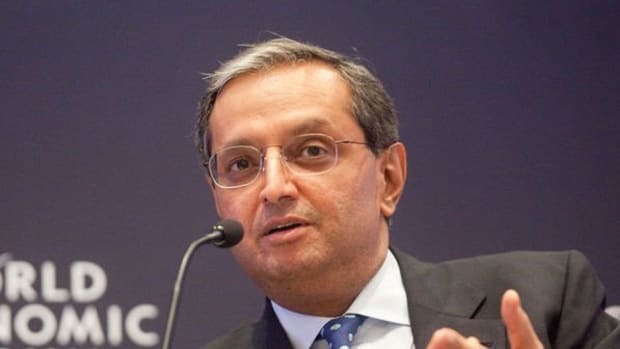 Vikram Pandit Wants To Help You Get That M.B.A. So he&apos;s taking some time off from his other exciting post-Citiventures, crossing the East River* and making some dreams come true. Mr. Pandit is among the investors in a round of financing raised by CommonBond, a Brooklyn-based start-up that lends to M.B.A. students and refinances existing debt. The financing, including equity and debt, totals more than $100 million, the company said. Though Mr. Pandit has kept a low profile since his sudden departure from the helm of one of the nation’s biggest banks, the CommonBond deal is his second publicly disclosed investment this year. In May, Mr. Pandit and a business partner bought a 3 percent stake in the Indian financial services firm JM Financial. The two investments fit under a broader thesis that the business of providing credit is changing, as traditional banks pull back. Mr. Pandit plans to make more investments along these lines, according to a person familiar with his thinking who spoke on condition of anonymity…. “Finance is changing in fundamental ways,” David Klein, the chief executive and co-founder of CommonBond, said in an interview. “Not to be overly dramatic, but I think we’re going through an evolution in finance right now that we haven’t seen since 1500s Venice,” when modern systems of credit were developed. Unlike a traditional lender, CommonBond collects money from individual investors, including alumni of graduate programs who want to support other students, and channels it into loans. The company promises lower rates than those offered by the federal government. *Figuratively, we presume. His check is crossing the river, at least.